Asked to define the terms “reactionary” and “progressive” during one of his 521 press conferences, President Coolidge responded that his answer would likely not be helpful. After all, the definition was in the “eye” of the definer. 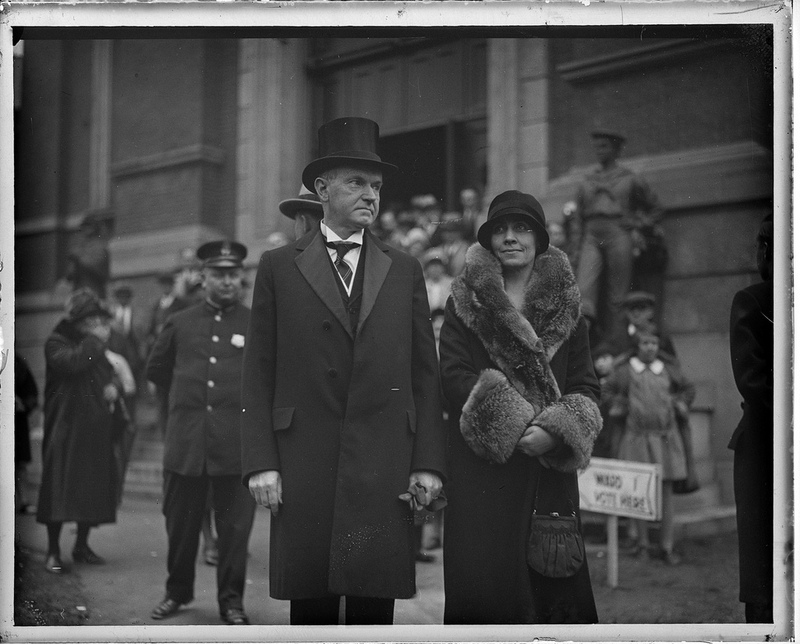 Having experienced the back and forth of politics for twenty years before even reaching the White House, Coolidge had seen just about everything. Illustrating his point, he explained, “That reminds me a little of the old definition of ‘orthodoxy’ and ‘heterodoxy.’ I think they used to say that ‘orthodoxy’ was ‘my doxy’ and ‘heterodoxy’ was ‘your doxy.’ Sometimes the person is not well thought of and he is labeled as a reactionary. Sometimes if he is well thought of he is called a progressive. As a matter of fact all the political parties are progressive” (The Talkative President, p.9). The key is not a denial of progress, or an eradication of all that has preceded us but rather connecting founding truths to our current situation. Progress is not progress which cuts all ties with the universal truths encapsulated in our Declaration and applied in our Constitution. This seemingly paradoxical concept for a progress that retains long-established, foundational ideals is expressed when Coolidge, two years later, said, “It is often asserted that the world has made a great deal of progress since 1776, that we have had new thoughts and new experiences which have given us a great advance over the people of that day, and that we may therefore very well discard their conclusions for something more modern. But that reasoning can not be applied to this great charter. If all men are created equal, that is final. If they are endowed with inalienable rights, that is final. If governments derive their just powers from the consent of the governed, that is final. No advance, no progress can be made beyond these propositions. If anyone wishes to deny their truth or their soundness, the only direction which he can proceed historically is not forward, but backward toward the time when there was no equality, no rights of the individual, no rule of the people. Those who wish to proceed in that direction can not lay claim to progress. They are reactionary. Their ideas are not more modern, but more ancient, than those of the Revolutionary fathers.” Quite a profundity from a man inaccurately and unfairly dismissed as an intellectual lightweight, characterized as a “do-nothing” president and classified as a vapid reactionary, don’t you agree?